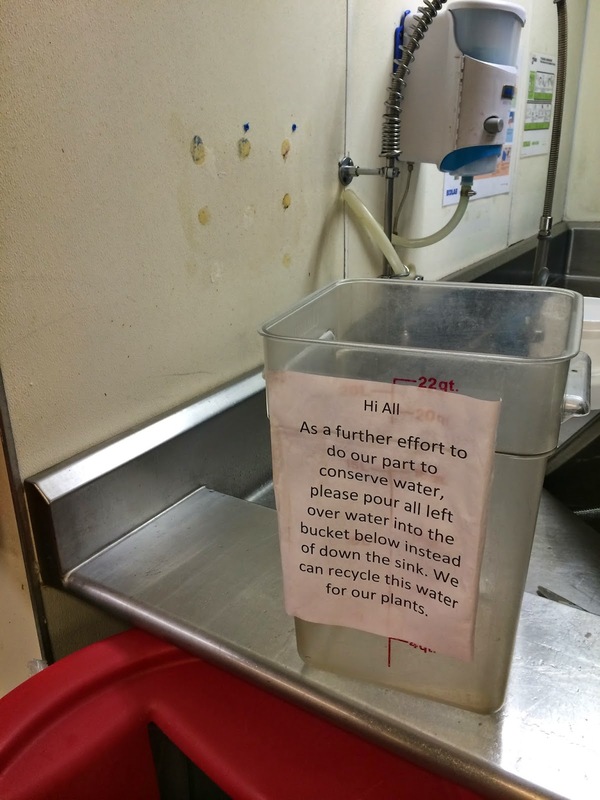 The other day as I was walking through the kitchen at Cinnabar Hills Golf Club, I had noticed a new bucket next to the dish washing area and a huge smile came across my face after I read the message. The bucket had a message on it for the staff to empty drinking water into it that hadn't been drunk. This is the optimism I mentioned in a previous post about what I thought a drought period can provide. Everyone doing their part and hopefully becoming a way of life and not just something we do for today. That water (almost 2g/ day) is now used on the flowers near the front door. Please see our "Commitment To Community" page on the website to see what we are doing at Cinnabar Hills Golf Club during the drought and for more water saving tips, visit the "Save 20 Gallons" page brought to us by the Santa Clara Valley Water District.